WMIA Wooden Globe winners and nominators, from left, Rick Braun, Machine Solutions, who nominated Todd Haas, Haas Cabinet, for Commitment to Excellence Through Technology; Ben Dipzinski, Hocker North America, who nominated Jared Nierengarten and Greg Rask, Crystal Cabinet Works; and Greg Larson, New England School of Architectural Woodworking, who was nominated by Chris Hofmann, Colonial Saw. Erich Mazurek, Maze Machinery, right, is chairman of the WMIA Marketing Committee, which oversees the awards program. 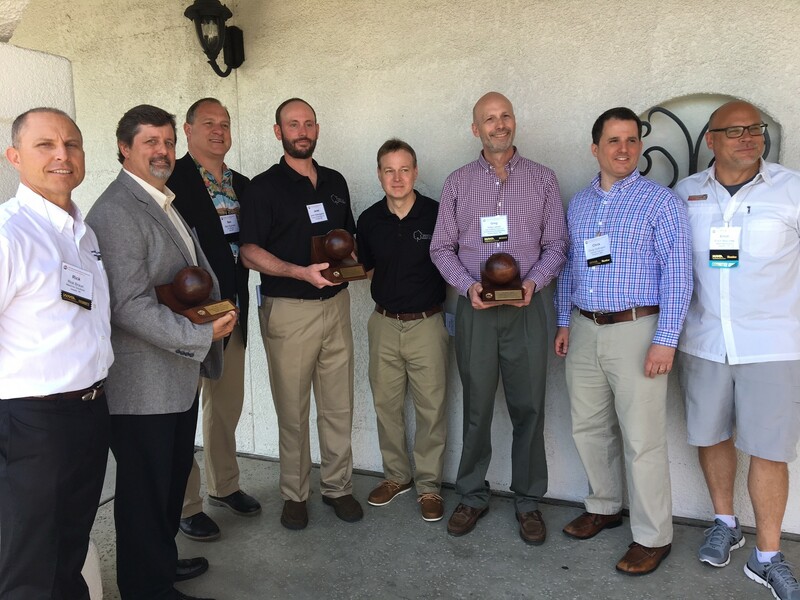 PALM SPRINGS, Calif. -- Honoring the best in technology, innovation and education for 2017, this year’s WMIA Wooden Globe Awards were presented April 27 in ceremonies at the annual Woodworking Industry Conference. Winners were Haas Cabinet, Sellersburg, Indiana, for Commitment to Excellence Through Technology; Crystal Cabinet Works Inc., Princeton, Minnesota, for Innovator of the Year; and Greg Larson, New England School of Architectural Woodwork, Easthampton, Massachusetts. Each winner was introduced by the person who had nominated him for the award. The Wooden Globe Awards are an annual initiative by the Woodworking Machinery Industry Association. 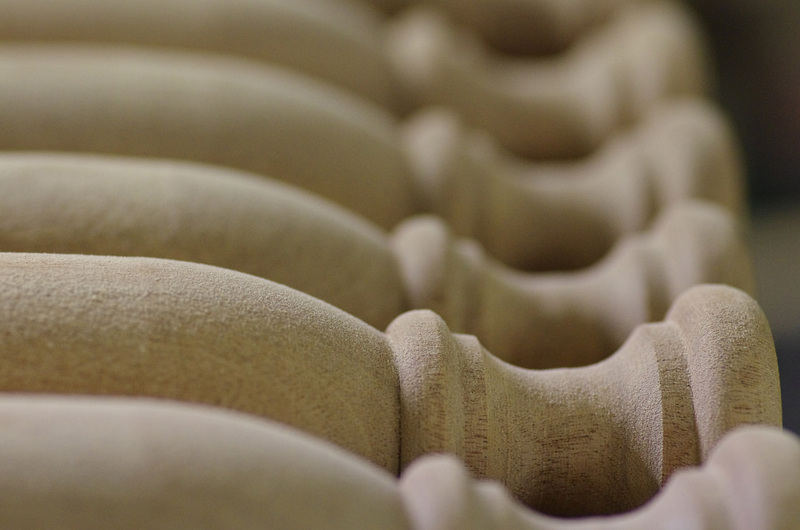 Every year, the WMIA honors excellence among woodworking companies by presenting the annual Wooden Globe Awards. WMIA members nominate their customers, and awards are presented in three categories: Innovator, Educator, and Commitment to Excellence Through Technology. For more information about WMIA, visit wmia.org.